Thomas Gondolfi, father of three, consummate gamer (board or role-playing) and loving husband, claims to be a Renaissance man and certified flirt. Raised as a military brat, he spend the first twenty years of his life moving to a new place every few years giving him a unique perspective on most regions of the United states. 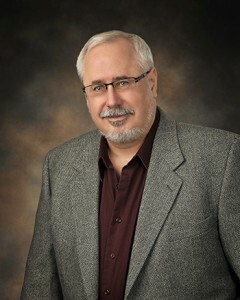 Educated as an electrical engineer and working in high tech for over twenty years, Tom has also worked as a cook, motel manager, most phases of home construction, and even as the personal caregiver to a quadriplegic. Tom Gondolfi has been writing fiction for over thirty years and doing it professionally for at least fifteen. Most of his short stories have been commissioned for use in gaming products, such as Babylon 5 Wars and Star Fleet Battles. He has honed his abilities through writing well over a million words. “Toy Wars,” Tom’s first commercially viable novel, was completed almost 20 years ago with a polish just prior to publication in 2013. “A marriage, a move, a new job, a new home and three teens – life just got in the way of publishing my work,” he said of the delay. “An Eighty Percent Solution” is the premiere novel of the CorpGov Chronicles. Tom has completed books two, “Thinking Outside the Box,” and book three, “The Bleeding Edge,” with a total of nine books already plotted out for the series. In 2012, Tom started his transition out of the high tech jungle by founding TANSTAAFL Press to bring his works and those of other prolific science fiction authors to market. As of 2015, TANSTAAFL Press has seven offerings and growing! We may have potentially as many as five additional titles in 2016. It varies by book. For instance “Toy Wars” was founded from my wondering what pieces in my board game felt like with me throwing them into battle while in the background a cartoon was playing on the TV. Each of my books has an author’s note in it where I describe where the idea for that book came from. It is the number one question of a fan! Like many authors, not writing isn’t an option (Yes, I know that was a double negative). At first you do it for fun and eventually it becomes addictive. If I don’t write some of those chaotic images in my mind just won’t go away. I used to write free form. I had a very good idea for a beginning, I knew where it would end, and I let the characters take me there. This caused two real problems. One, the direct route between two points isn’t the best way to tell a story as it ended up being too short and really didn’t show off all of the wonders along the way. Two, I found myself spending so much time tripping over continuity errors that I vowed to find a better way. Now I do a minimal outline for the whole book.. one or two bullets per chapter. As I write, I also fill in the outline of the upcoming chapter(s) making many key scene points. Thus the outline grows as I get nearer to writing that section. My one gripe about outlining had always been that I lost the spontaneity. Sometimes the characters took the story in a different direction. When I see this happening, I change the outline accordingly and don’t let that framework be a straightjacket. This may sound weird and even egotistical, but in the beginning of every story I breathe life into the characters. I set up their personality, their physical traits, and their background. After that first chapter, the characters write the story for me. If I try to write something they wouldn’t do (see the comments about outlining), they act like they are having a nervous breakdown and it shows. How long do you have? I have three big bullet items otherwise I’d be here all day. – Write. I’m not being facetious but most people who say they are writers don’t write. Try to write every day. If you want to be doing it professionally then you must do it nearly every day. – Review. Get people you don’t know to tell you what’s wrong with your work. Nothing is ever perfect, but you can make it SOooo much better if you just get independent critiques. The internet has provided us with a boon here. There are several online critique groups that are free. Do it.. and listen to these people. – Publish. Please don’t be a wanna-be. 99% of all people who I meet who say “I’m working on a book” or “I’ve done one story” or “I always wanted to be an author” never will. For whatever reason they can’t take it beyond the writing to let people see what you have in your brain. With the proliferation of online publishing, ANYONE can be an author. Maybe not a successful one, but if you can positively change the life of just one person, then you’ve achieved something most of humanity never will. I’ve looked at what it takes to traditionally publish. At one point I even started doing that mountain of work and collecting the rejection slips. It didn’t sit right with me. I’m a man of action and like holding my destiny in my own hands. I also couldn’t stand the thought of giving away 90+ percent of the potential profits just for someone to print my books. Most traditional publishers do no advertizing, effectively no marketing. They expect you to do that portion yourself. Oddly that is what most novice authors expect of the publisher. I have a wide background of experience. I figured I could do it myself and have done so successfully. I’ve also stretched these skills into a small publishing house (TANSTAAFL Press) to assist other new authors as well. We are profitable in our second year. Oh, I’m not paying the mortgage yet, but keep in mind that it takes 5-7 years to make it in this industry so we are just getting started. There will always be big traditional publishers but their heyday is over. It is now the time of the small and moderate sized independent publishers and the self-publishers. It is too easy these days to publish yourself rather than take the relatively small advance from someone else. Also the traditional publishers, even in a field supposedly as out there as SciFi, keep grinding out the same pap. Readers really do want a new voice, fresh ideas.